Born and raised in Port Huron, Michigan, music was always an integral part of Brian's life, but surprisingly wasn't his first career choice. "Actually I wanted to be an Air Force pilot but that didn't work out," he says. "I come from a pretty musical family. My dad is a music director at our church and has been for probably 15 years, and so growing up I was always around music." 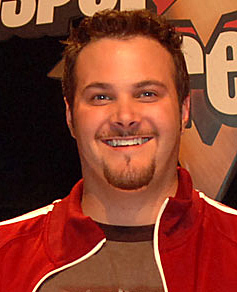 Gifted with a compelling, distinctive voice, Brian gained national acclaim as the winner of the Gospel Music Channel's 2005 Gospel Dream contest. Even in an extremely competitive field, there was an obvious spark about Brian that caught the judges' attention. There's a sweet soulfulness to his voice that conveys his heart for God and a transparency in his well-crafted lyrics that touches others deeply. Brian developed diverse musical tastes and cites a wide variety of influences from Steve Green to Whiteheart to PFR. "I also loved Steven Curtis Chapman and Phillips, Craig & Dean," he says. "I used to listen to PC&D's Christmas record all year round. It had great harmonies." During his junior year in high school, Brian parlayed his love of music into a job at a local Christian radio station. "I was hired at the radio station just as part-time help at first," he says. "Then in 2000 I came on full-time. I love radio, but my heart was still really leaning toward the music side of it. They are both great ministry opportunities. I really enjoy working at the radio station, but always look for more opportunities to sing and use that gift." 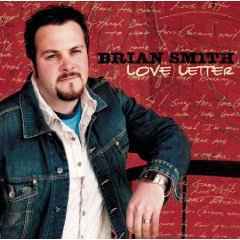 If Brian seems to have a particularly fine-tuned song sense for a new artist, it's a gift he attributes to his years in Christian radio. Beyond just the business savvy it takes to recognize a radio-friendly hook, Brian has seen music impact lives. "I know there's ministry that can be done. Songs really do speak to people," he says. "They speak to people in ways that a pastor can't or a deejay can't. Music touches people in a way that I really don't understand. It's been cool to see that from the radio perspective and now from an artist's perspective.